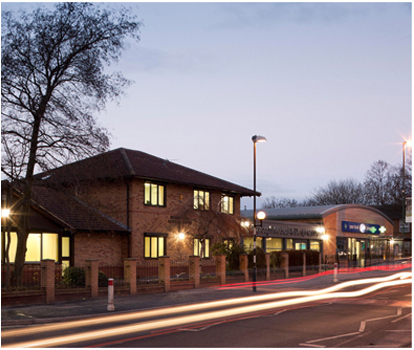 Bilborough Medical Centre and Assarts Farm Medical Centre are now managed and operated by Nottingham City GP Alliance. This change of management commenced on 1st April 2019. We are currently accepting new patients and are working hard to increase the number of appointments we offer. This is in line with our commitment to provide an excellent service to the communities of Bilborough and Nuthall. Click here to find out more about what this change of management means for patients. We are situated at two sites, one in the centre of Bilborough and one within the Mornington Crescent estate in Nuthall. Patients living in the surrounding area can come and register with us. Our dedicated team are here to treat those minor ailments that occur as well as providing specialist management of long-term conditions and clinics covering a wide range of healthcare issues. Our interactive website also means you can now do a lot of things from the comfort of your home such as order a repeat prescription or book or cancel an appointment. Our patients can also access additional appointments at the GP+ service in Nottingham city centre. We have car parks at both sites and our buildings are friendly towards those of our patients who have a disability including automatic doors at the main entrance and disabled toilet facilities We also have baby changing and feed rooms and a wheelchair is available for use on request. Externally there are dedicated parking facilities for the disabled and young families. Within our Waiting Area at Bilborough Medical Centre there is a designated Children's play area. Bilborough Medical Centre is very well served by public transport; it is located adjacent to the 'Bracebridge Drive Shops' bus stop. Please note that the surgery will be closed on Good Friday (19th April) and Easter Monday (22nd April). If you require any repeat medication that is due to run out over this period, please allow plenty of time to request it. Requests can take up to 48 hours to be processed but will take slightly longer over Easter weekend. Patients registered at this practice can now access additional routine appointments at our new city centre NHS service, GP+ Nottingham City. Speak to our reception team to book. Information about your health and care helps us to improve your individual care, speed up diagnosis, plan your local services and research new treatments. In May 2018, the strict rules about how this data can and cannot be used were strengthened. Click here to find out more. To book and cancel appointments, view a summary of your record, order prescriptions and keep us up to date with your details, sign up for SystmOnline. To sign up, bring photo ID when you next come in and ask reception to set you up. Parents can also be setup to have access for their children.